Sometimes around the 4 O’clock hour at work I can get really famish. I always turn to a snack to try and hold me over until dinner time. I love to snack healthy. 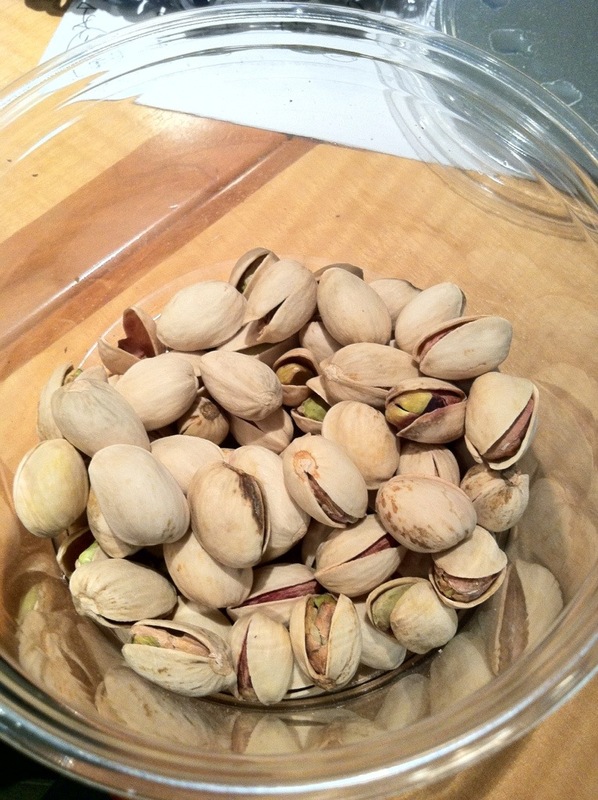 Today my snack of choice is pistachios. I love raw unsalted pistachios. Well, basically all raw nuts. This nut is so rich in vitamin E and polyphenolic antioxidant compounds. They’re also packed with many important B-complex (riboflavin, niacin, thiamin, pantothenic acid, B-6, and folates) which is essential for stress repair on a cellular and neurotransmitter level. Personally, I think it’s so delicious and healthy, it’s the perfect snack.